Hi, we're April Derrick and Christopher Martin. We remember when we were children, feeling uncertainty about beginning martial arts. We wondered if we had what it took to succeed and we weren’t the most athletic or confident children - quite the opposite. 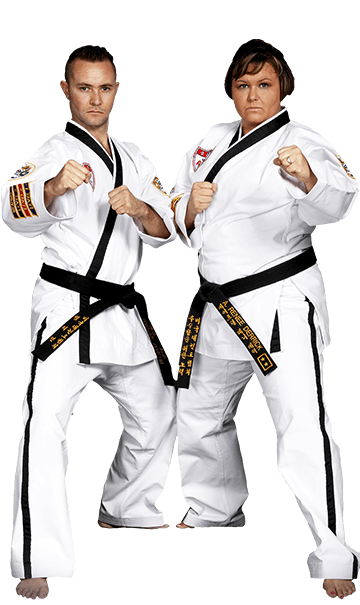 Little did we know that beginning our martial arts journeys would be one of the most profound experiences of our lives! When we opened our school in 2005, we made a commitment to serving and empowering the community of Las Vegas by teaching children and adults the confidence, leadership, and fitness skills that can only be achieved through martial arts.